Giacomo Lazzari (? ), first half of the seventeenth century. 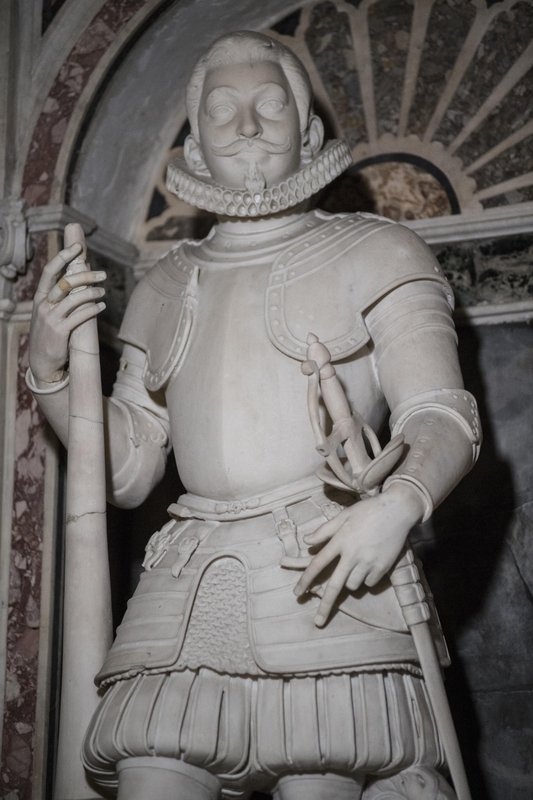 Giovan Francesco di Sangro, here portrayed in military dress, is the Duke of Torremaggiore (as well as first Prince of Sansevero) who – according to Cesare d’Engenio Caracciolo in his Sacred Naples (1623) – is said to have founded a small chapel in around 1590, the nucleus for what would become the Sansevero Chapel. 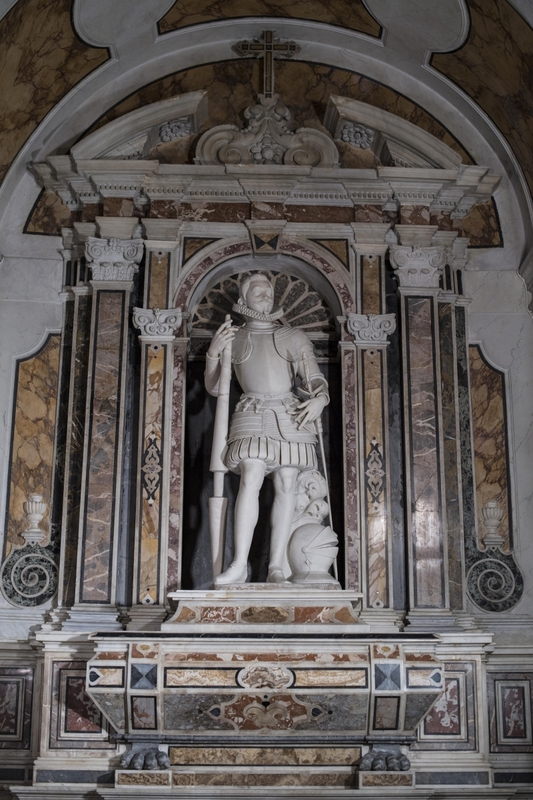 The Monument to Giovan Francesco di Sangro was most probably the work of Giacomo Lazzari, even if a number of academics attribute it to Michelangelo Naccherino. 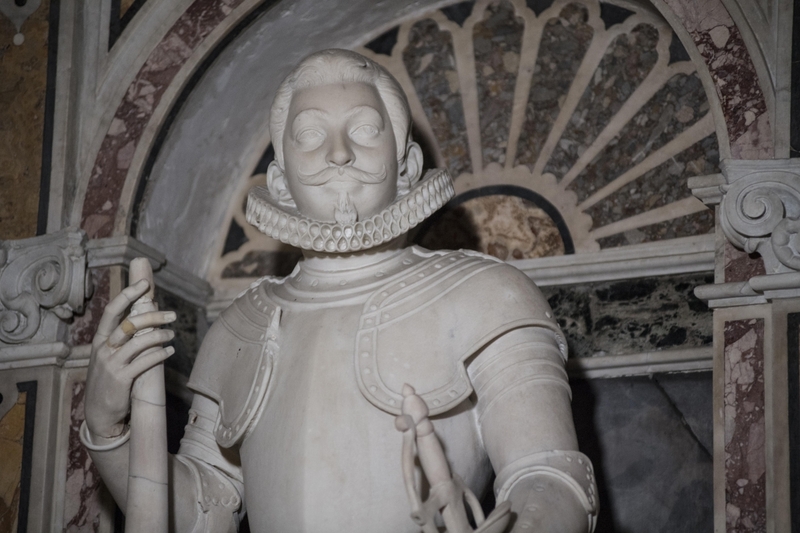 Even though it shares some stylistic features with the Monument to Paolo di Sangro, fourth Prince of Sansevero, the statue of Giovan Francesco is more sober. 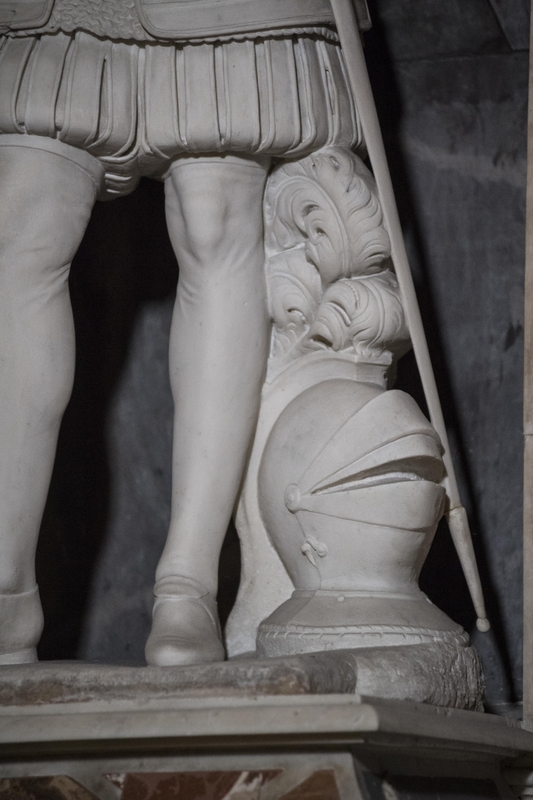 We note the refinement of the multi-coloured marble and the decorated pilasters coupled with the severity and poise of the figure, here shown in a dignified pose. 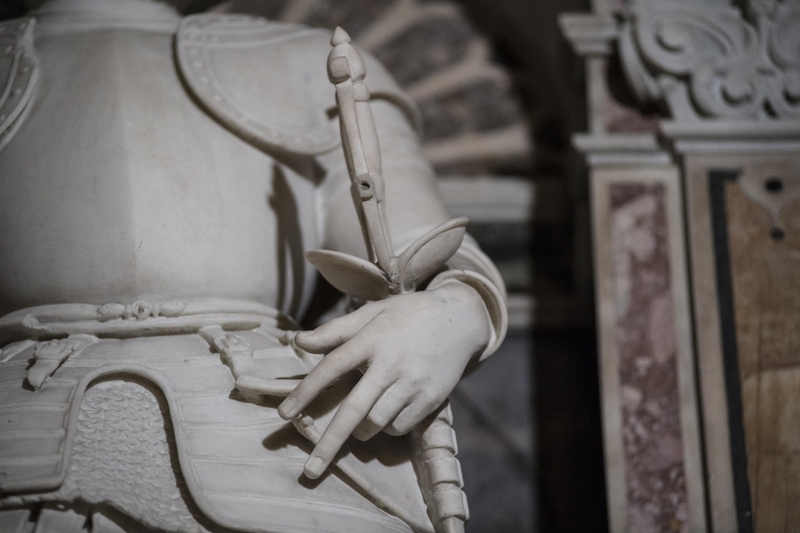 The first Prince of Sansevero, who died in his eighties in 1604, was a brave soldier and took part in a large number of campaigns in Africa and Europe (he also fought as regimental commander in the famous battle of Lepanto in 1571). 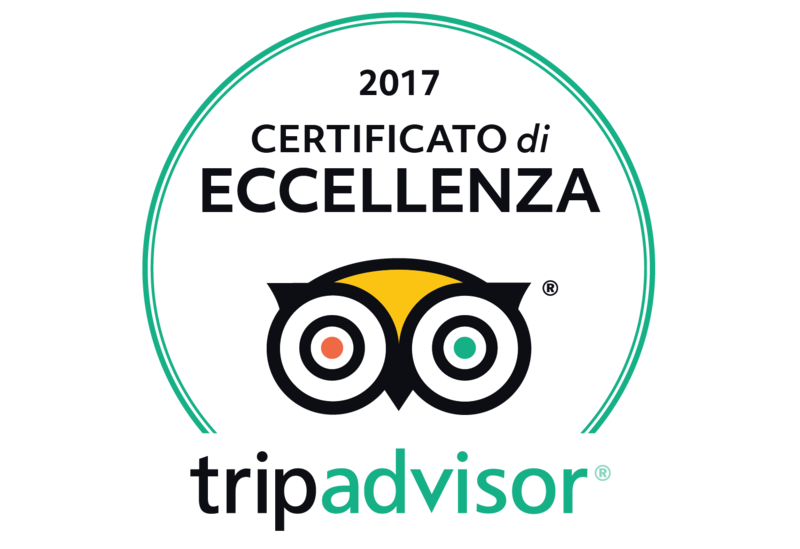 The monument and the memorial plaque were commissioned by his son, Alessandro di Sangro, Patriarch of Alexandria.